Microsoft resurrected Kinect yesterday during the company’s HoloLens 2 press event at Mobile World Congress in Barcelona. 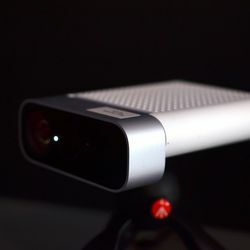 The software giant has shrunk Kinect into a $399 PC peripheral that can be used as a sensor in similar ways to how developers used Kinect for Windows or even the original Xbox 360 Kinect. 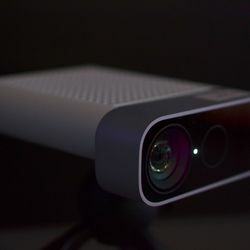 Microsoft has designed this new Kinect to be primarily used with Azure, the company’s cloud-based service, for computer vision and speech models. 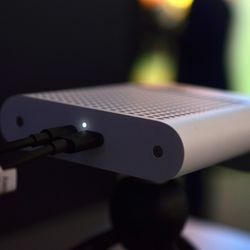 I got a chance to get a closer look at Microsoft’s new Azure Kinect DK at Mobile World Congress today, and I’m surprised at how much smaller it is compared to the Kinect for Windows sensor. 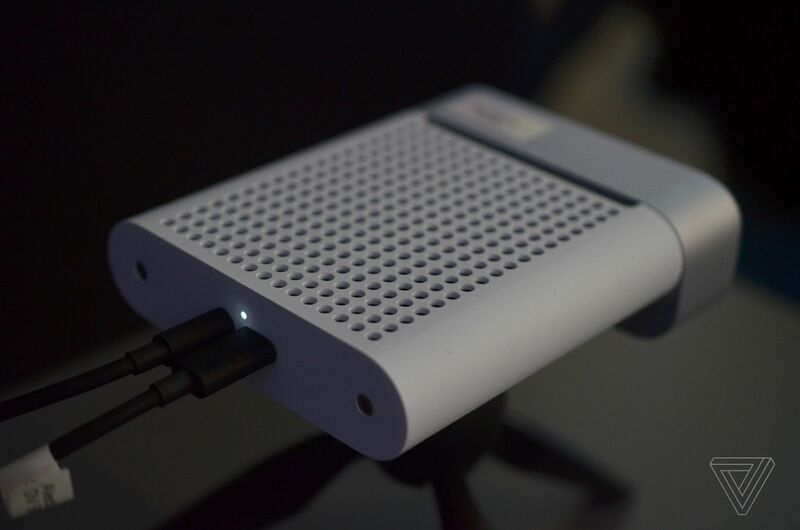 It’s also a lot lighter (440 grams vs. 970 grams) and more capable thanks to a range of upgraded hardware. 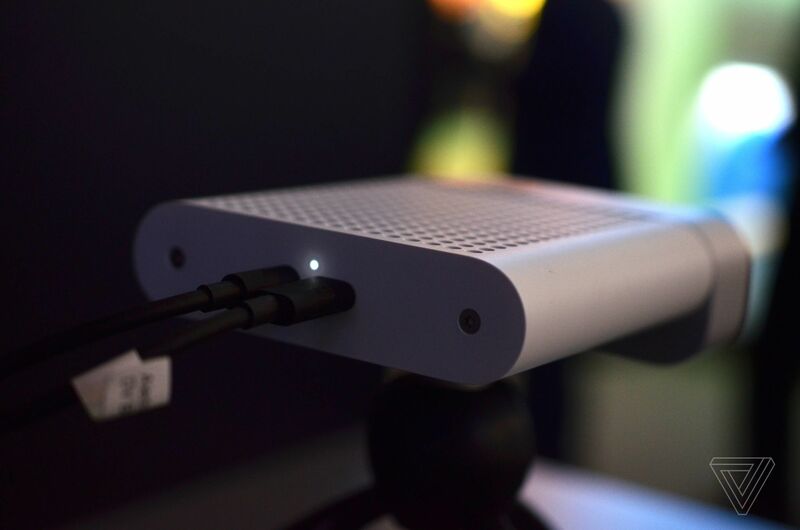 There’s a 7-microphone array inside compared to the 4-microphone array in the previous Kinect, and an upgraded RGB camera capable of 3840 x 2160 images. 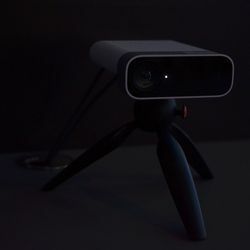 The depth sensor is the same one found on the HoloLens 2, and it’s now capable of a range of resolutions and framerates. 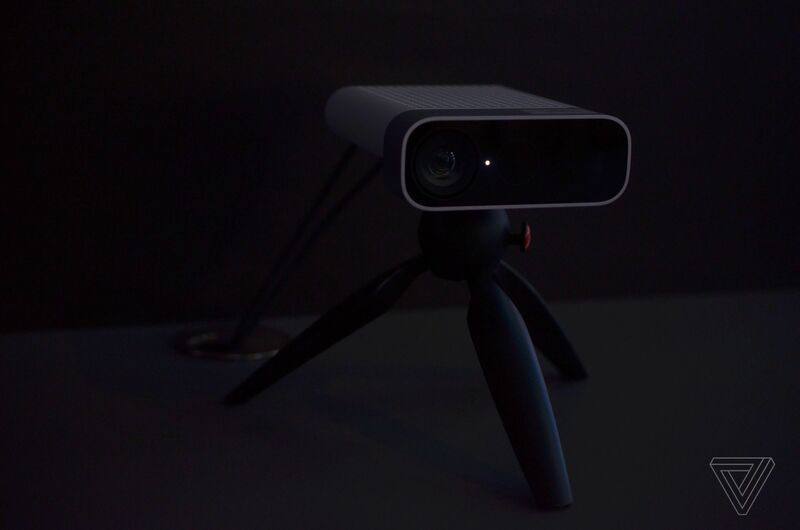 Microsoft is planning to release a range of SDKs for this new Azure Kinect DK, and developers will need to port any existing Kinect for Windows apps over to this new platform as they won’t work directly with this new Kinect model. 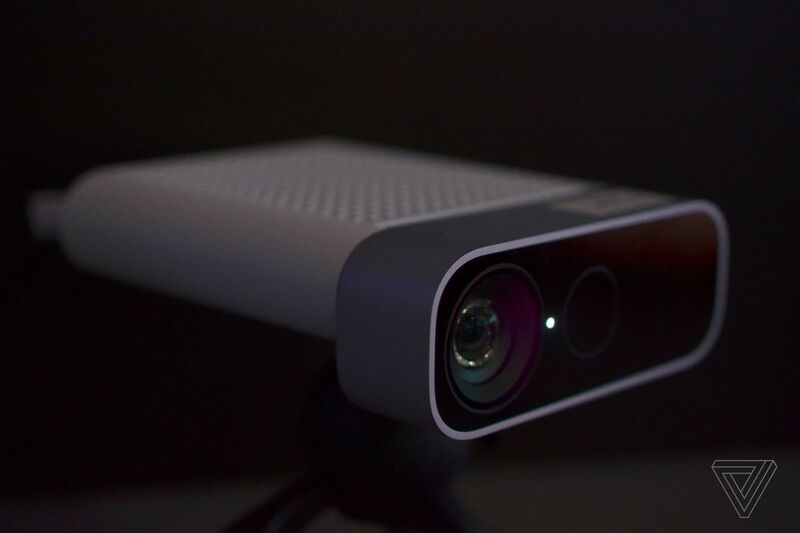 There’s a new sensor SDK, body tracking SDK, vision APIs, and speech service SDK for the Azure Kinect DK. Microsoft hasn’t published all of these SDKs just yet, but preorders for this $399 Kinect have already begun. It’s expected to ship in late June to developers. Microsoft has a range of examples of how developers will use the Azure Kinect DK from retail to manufacturing and even healthcare. In retail stores, developers could use this new Kinect to track products and manage inventory, and given its body tracking support it could even potentially be used in cashier-less stores. Much like the original Kinect, the use cases will depend on how creative developers get with this latest model. 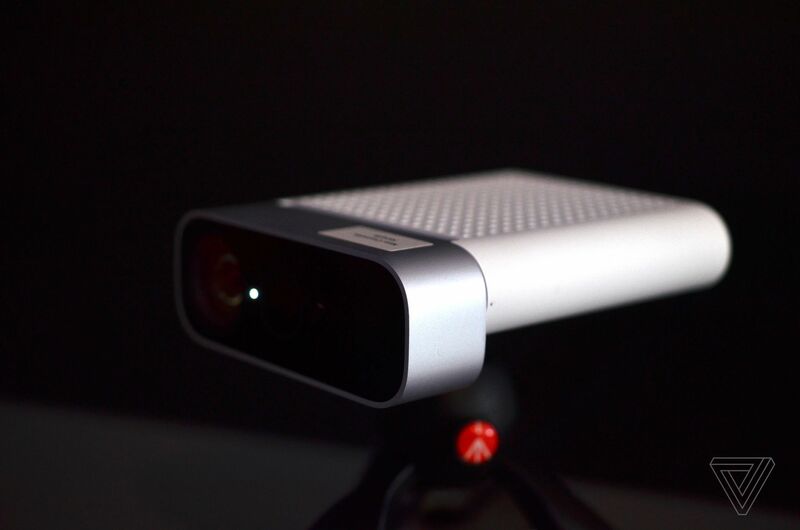 One thing this new Kinect sensor won’t do is replace Kinect for Xbox. It’s not designed to be used with an Xbox, but developers will be able to use it with or without Azure. I tried a brief demo of the body tracking capabilities of the new Kinect, measuring how high I could jump using the new SDKs that will be available once the device ships in late June. 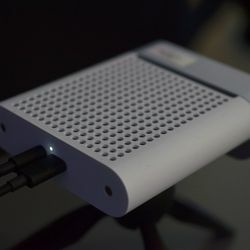 It reminded me a lot of the early Kinect demonstrations, but Microsoft now has a much smaller sensor and a clear aim for what the Kinect will be used for. It’s no longer a gaming peripheral, it’s a big part of the company’s “third era of computing” with HoloLens, and its big Azure cloud push.